"We strive for a quality of service that will give you a service of quality." 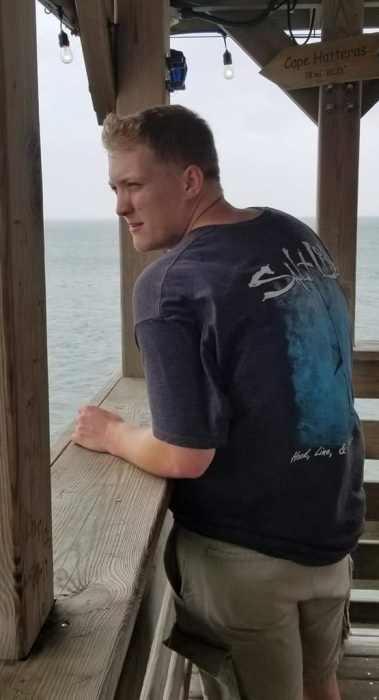 Mr. Austin Lee Heath, age 25, of Dobson, NC, passed away unexpectedly on Sunday, February 10, 2019. He was born on August 5, 1993 to Frankie Lee Heath and Deanna Stone Brown. Austin was a machine operator at Berry Plastics in Greenville, SC, and of the Baptist faith. Surviving are his parents, Deanna Stone Brown and step-father, Raymond Lynn Brown of Dobson, Frankie Lee Heath and step-mother, Lisa Heath of Jonesville; grandparents, Gary and JoAnn Stone of Dobson, Harvey and Barbara Heath of Mt. Airy; great-grandmother, Bettie Lawson Stone; step-brothers, Tanner Brown, Tony Brown, Eddie Stevens; step-sisters, Jessica Stevens, Alea Eastman, Kayla Eastman; special loved ones, Leo Howard and Aurora Stone; several aunts and cousins; and special friends, Michael Todd. And Reid Jones. Austin was preceded in death by his grandfather, Henry Lee Franklin Heath. Funeral service will be held on Thursday, February 14, 2019, at 11:00 am in the chapel of Moody-Davis Funeral Home, with Darold Adams conducting the service. The family will receive friends prior to the service beginning at 10:00 am. Flowers will be accepted or memorials may be made to Freedom House of Greenville, 4 Woodland Lane, Greenville, SC 29615 or Our Father’s House of Elkin, 3508 Zephyr Road, Elkin, NC 28621. Moody-Davis Funeral Service is serving the Heath Family.